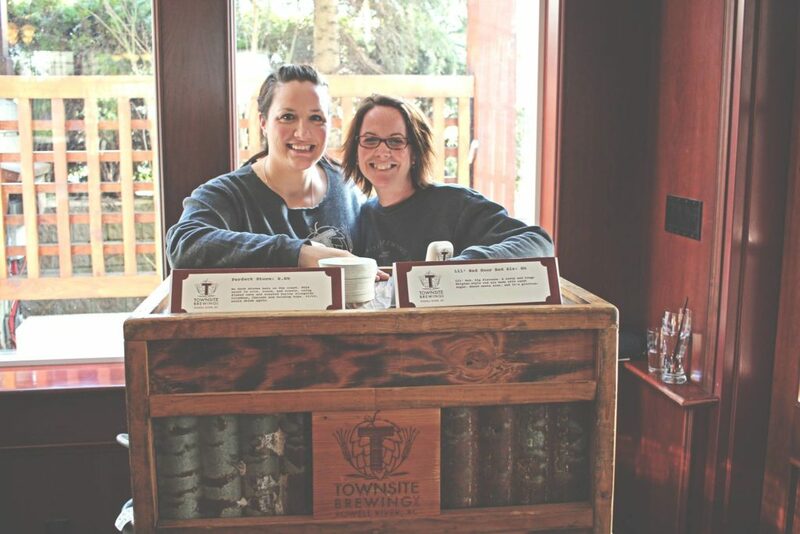 Townsite Brewing is the winner of the 1st Annual BC Ale Trail Best Brewery Experience Award. 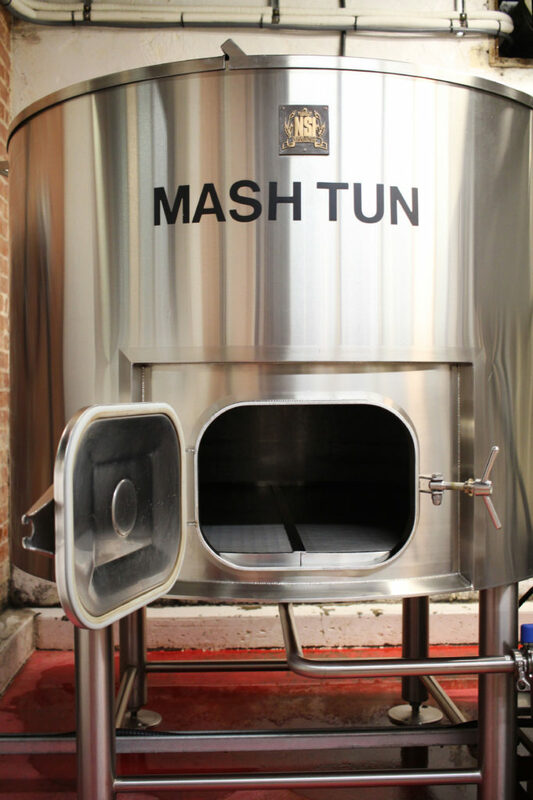 We asked blogger Matt Carter to visit the brewery and describe what makes it so special. The neighbourhood has a remarkable number of unique features: the longest running movie theatre in Canada, the world’s largest floating breakwater of WWI and WWII ships, and St. Luke’s Hospital, where the first medical plan in BC was introduced, to name a few. The area has undergone a revival in the last few years, with upgrades to the theatre’s sound and projection systems, new restaurants, permaculture gardens and a must-see Federal Building-turned-Craft Brewery. This must-see Federal Building—established in 1939—houses the must-see brewery and taproom of Townsite Brewing, established in 2012. 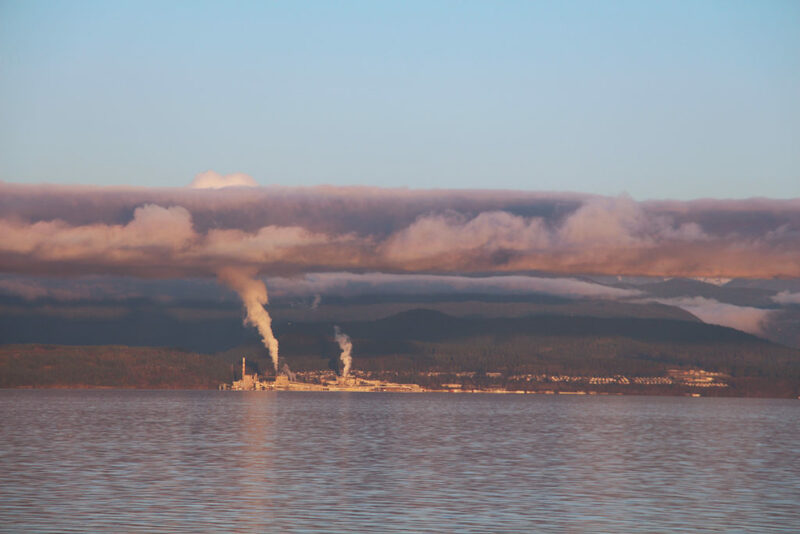 The brewery and taproom stand five kilometres north of Powell River’s town centre and less than 200 meters uphill from a paper mill—the first newsprint mill in western Canada. If you tipped over a keg at the front door of the brewery, it would roll all the way straight to the mill, and you’d have many new friends. 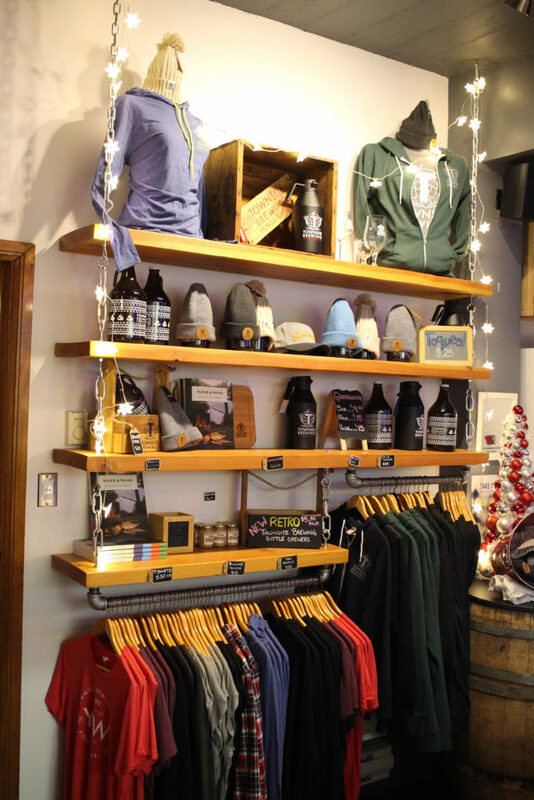 It is in this outpost where Townsite Brewing has melded past and present, where young entrepreneurs have revitalized worn bricks and mortar, and time-tested European brewing traditions march forward in the modern craft beer revolution. 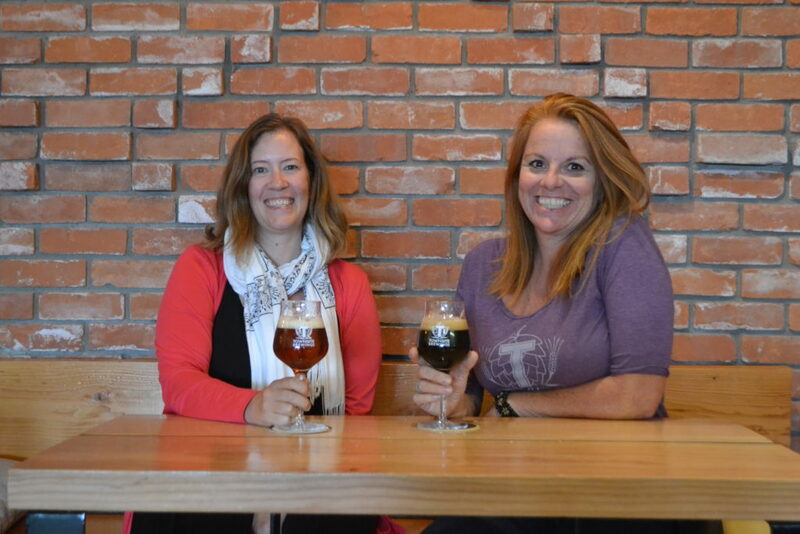 The three managing partners are Michelle Zutz, Director of Sales; Chloe Smith, General Manager; and Chloe’s husband, brewer Cédric Dauchot—the only Belgian-born brewmaster in British Columbia. I met him in the Townsite taproom on a Sunday evening after a quick BC Ferries “ocean cruise” across from Comox on Vancouver Island. It was December 2nd, and Christmas music was already playing. The affable Cédric may have ceded control of the stereo, but he’s made his mark with the beer. Staff served glasses and samplers to young couples at tables and a group of older men at the bar. Christmas lights framed the chalkboard bar menu, growlers and bombers and merchandise lined the opposite wall, and a vintage video game machine blinked and blooped from the centre of the room. 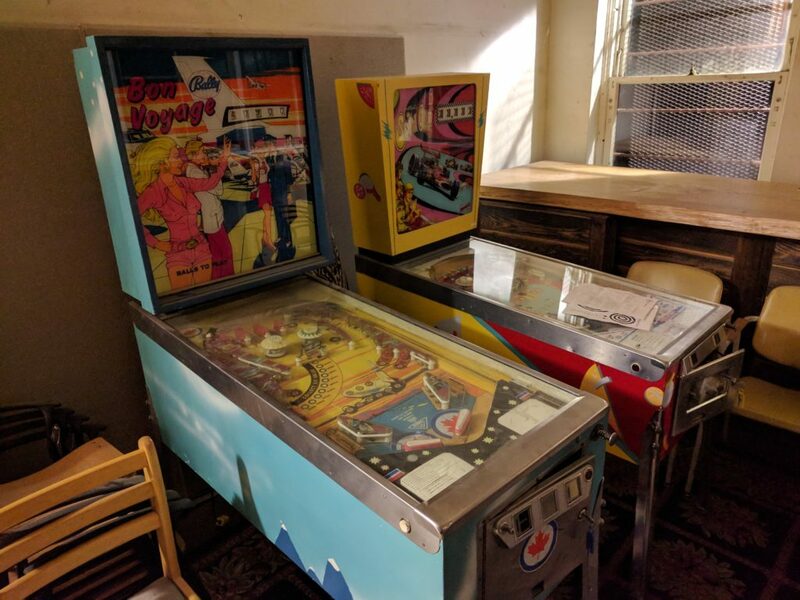 I’m surprised to learn later on that the arcade machine is free play—a great way to entertain the kids so Mom and Dad can have some of their own time. 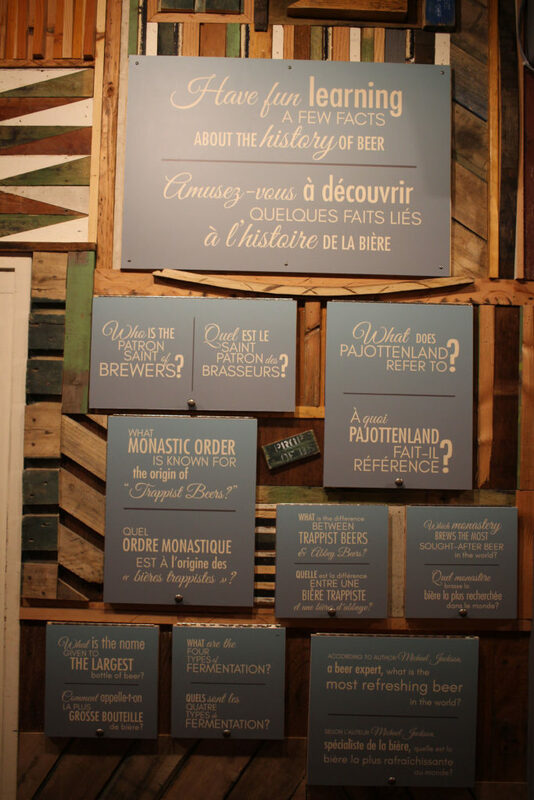 Part of the Economusée display at Townsite Brewing. Upstairs, we sampled a cherry beer early in the aging process straight from his barrel room (Cédric claimed it may be his best beer yet), peeked into offices with vintage furniture and tall windows overlooking the Salish Sea, and marvelled at his current repair project: two classic pinball machines. We returned to the tasting room to enjoy two brewer’s choice flights and delve into what brought Townsite to its level of success today. He’s incredibly proud of this space, and through our conversation, I discover that this community and this brewery can’t stop hugging each other. 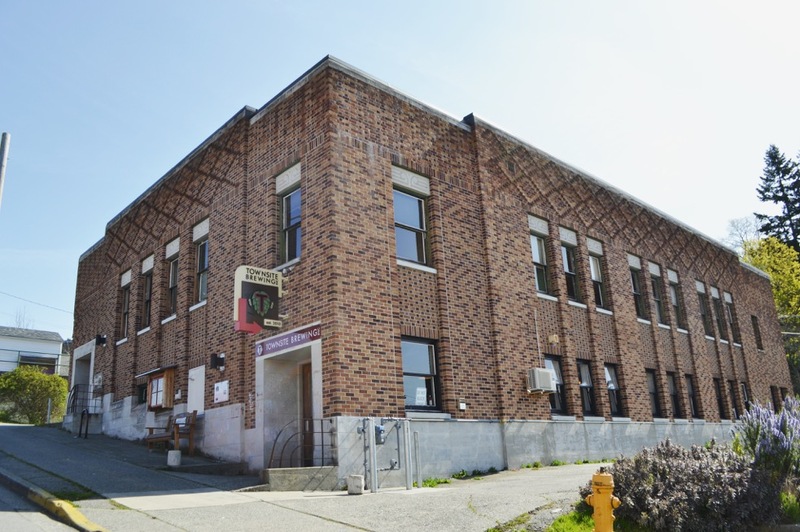 In a small town like Powell River, especially during those tough economic times with the pulp mill in jeopardy, the news of a craft brewery opening up was huge. It signalled another possibility when the town was having a hard time seeing its future with the possible closure of its primary economic engine. 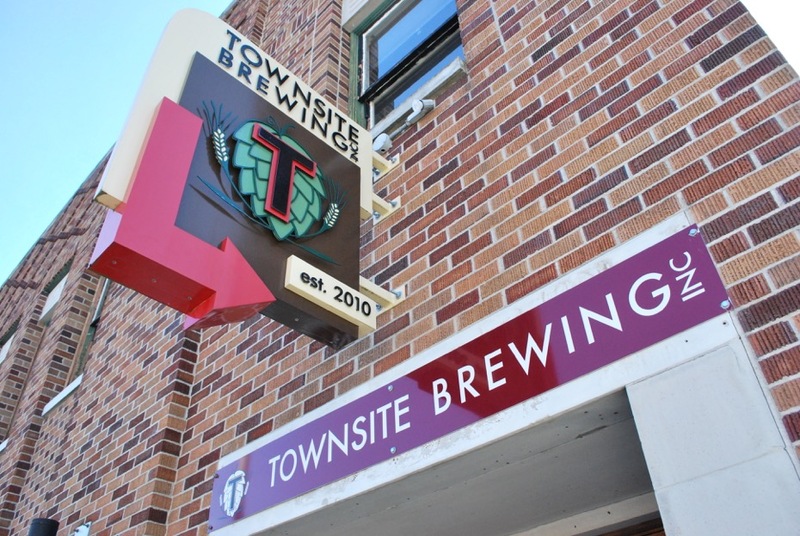 Since Townsite opened the first brewery on the Sunshine Coast in 2012, the craft beer scene has blossomed in the region. As evidence, both craft beer festivals (Powell River Craft Beer Festival on Nov 3 and Sunshine Coast Craft Beer Festival on Feb 15 in Gibsons) have grown exponentially and have sold out every year. Craft breweries are small artisan businesses that are having big impacts on our local economy and our sense of place. The heart of the Townsite story begins with Cédric and Chloe. 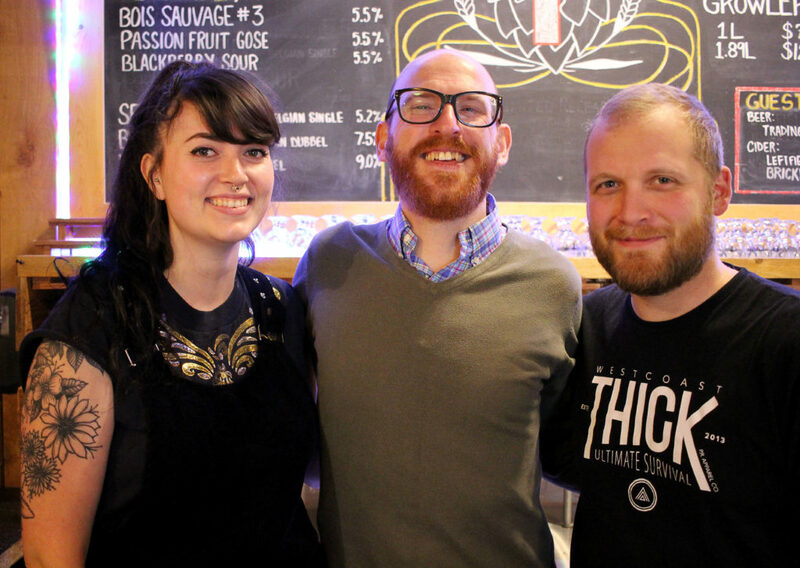 They met more than a decade ago while working in the brewing industry in Quebec. How did Cédric, a Belgian, sail the seas of beer on his way to Canada? His interest in the beer industry started as a youngster. 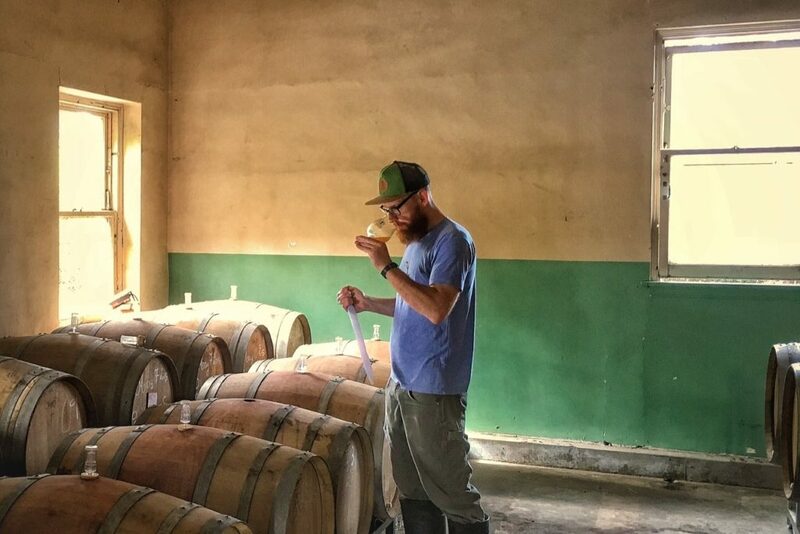 In 2004, Cédric graduated with an engineering degree in the science of brewing and worked with Stella Artois in Belgium before managing brewing operations for French brewpub chain Les 3 Brasseurs. Soon after joining the company, he was given an opportunity to work overseas. 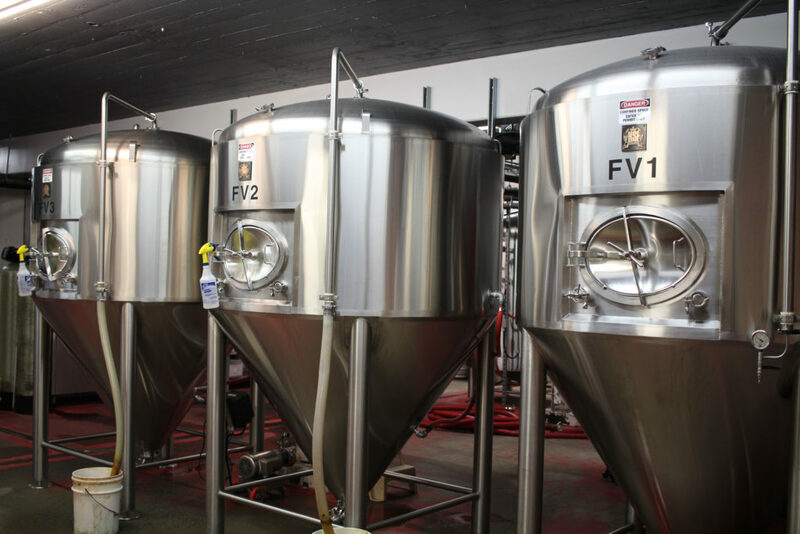 “The person they were going to send cancelled last minute,” he said, “and I was given two weeks to decide whether or not to move to North America.” He took the opportunity and moved to Montreal to develop new brewpubs and train the local brewers. Chloe, born and raised in Saskatchewan, was travelling Europe in 2001 after earning a chemistry degree back home. The life of a lab rat loomed large until she saw an employment advertisement for a brewing chemist. “That’s…a thing?” she asked herself, and a new path was clear. Already a fan of craft beer thanks to a recurring friendship with Sierra Nevada Pale Ale during her university days, she channeled her chemistry expertise into a four-year stint with McAuslan Brewing in Quebec—working in filtration and advancing to brewing—before meeting Cédric at Les 3 Brasseurs. A professional relationship soon blossomed into a personal relationship. The couple married and made plans to move to Saskatchewan to start their own brewing operations. For a variety of reasons—including Cédric’s claim that the prairies were “too damn cold”—their new enterprise never got off the ground. With Chloe expecting their first child and the couple needing solid employment, Cédric applied for brewing jobs, including Brewdog in Scotland and Golden Road Brewing in Los Angeles. However, their business plan was always to open their own brewery in a smaller community, and they found an opportunity in a town Chloe had visited once, and Cedric had never been: Powell River, British Columbia. “The offer was to take over this beautiful old, open heritage building with an opportunity to design the brewery ourselves and design our own recipes,” Chloe said. They had their place—now they just needed product and people. 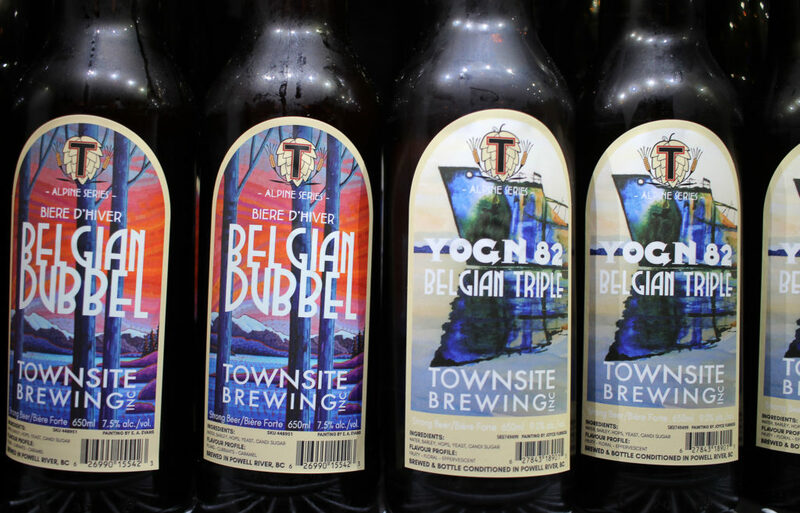 Townsite has been an integral part of the movement toward craft beer for Powell River and the Sunshine Coast. Truthfully, before they opened, we could not get much of any true BC craft beer in town. That is certainly not the case any more. Were residents of this mill town ready for craft beer? Cédric and Chloe weren’t completely confident. “We were worried,” Chloe said. “There was a lot of Blue on tap.” However, they purposefully embraced the community at large through branding, outreach, and support. Their beer names were picked to resonate with locals: Zunga Blonde Ale (relating to a local rope swing); Suncoast Pale Ale (aka. Sunshine Coast); Tin Hat IPA (a peak on the Sunshine Coast Trail); and Pow Town Porter (local slang for Powell River). They offered to help local bars improve their keg systems and clean their tap lines. 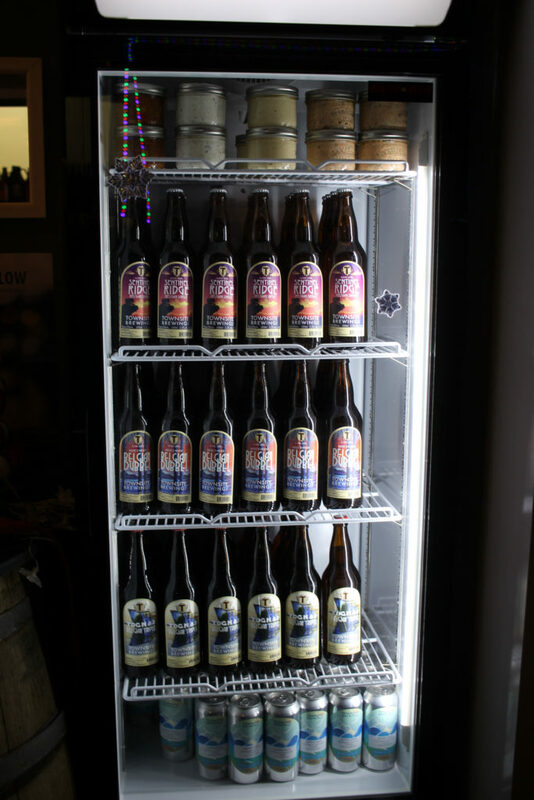 One dollar from each growler fill was donated to a different local charity or non-profit group each month. 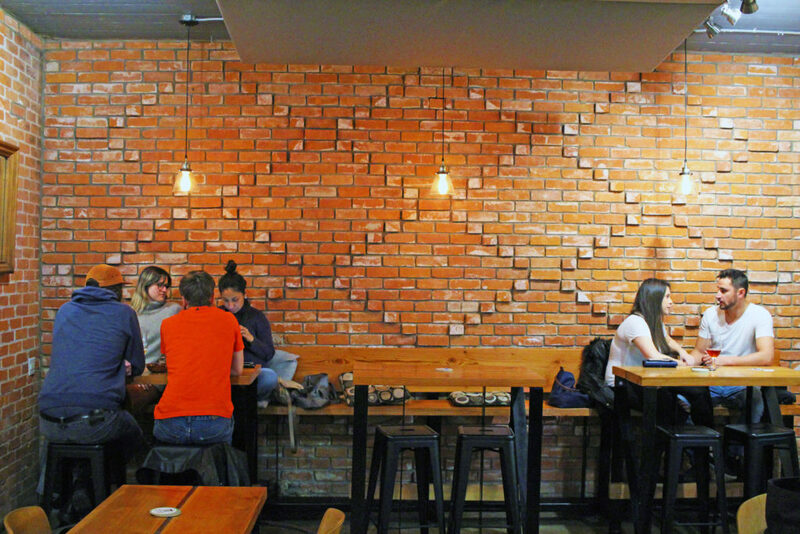 The taproom closed early (9pm) to avoid competing with local bars, and only offered snacks instead of a full meal service to avoid competing with local restaurants. The taproom was kid-friendly, so families could come by. It worked. Locals poured in—as varied as the beer styles. With confidence in local palates, Cédric added seasonal Belgian styles to the beer lineup and started a popular Thursday night cask night. By one account, they even brewed a beer as a response to a request from Powell River craft beer fan Ari Dublion, DJ of the Pow!town Getdown program on CJMP 90.1 FM. 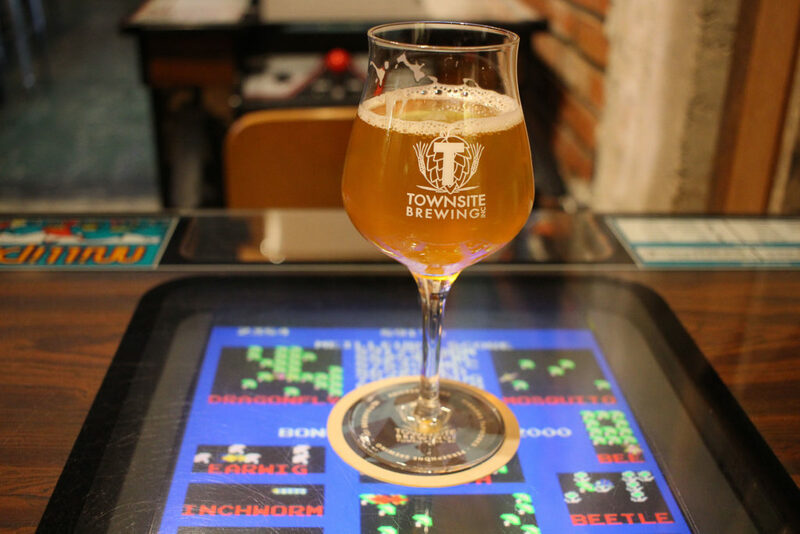 Townsite Brewing has been a tourism popular draw since day one, but with the opening and eventual expansion of their tasting lounge, they have grown into a “must visit” experience when in Powell River. And kudos to them for their commitment to beer education (partnering with the Économusée program) and their year-long support of community groups through their growler program. Their impacts are seen all over town, from the liquor stores and restaurants to events pouring their beer. Townsite Director of Sales, Michelle Zutz, told me that the company now features 20 employees. Sixty-five percent are women, two-thirds own their own home, and all of the front end staff are Cicerone Level 1 certified or higher. They are invested in their work—a boon for any employer trying to retain talent in a smaller community. Tasting Room Manager Jodi Kuntsi promised to continue her philosophy of providing a comfortable ‘living-room’ feel to the tasting room. Cédric and Chloe feel like they are home. 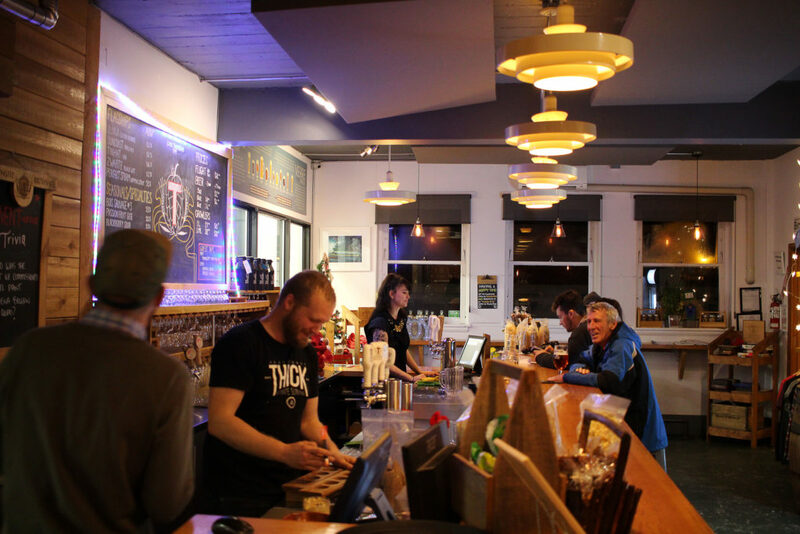 After years of travel across Canada and Europe, they’ve settled into Powell River as comfortably as local beer fans settle on the barstools and seats of the Townsite taproom. Their children are now 7 and 5—often seen helping out at the brewery—and the family enjoys regular Sunday hikes as part of an active social life. Before I head back to the ferry for my trip home, I sample Townsite’s new, and excellent, passionfruit gose. (Cédric pronounces it goes-say, which is the third or fourth different way I’ve heard the word spoken, but I have no right to argue beer pronunciation with a Belgian.) As the tasting room staff chat with the remaining customers, I marvel at how the brewery has become a prime social space—no televisions, no screens—and it’s all designed to get you to know the beer and the folks around you. It’s well worth the effort to get to this land-based island—not just for great beer, but for conversation, camaraderie, community, and discovery.